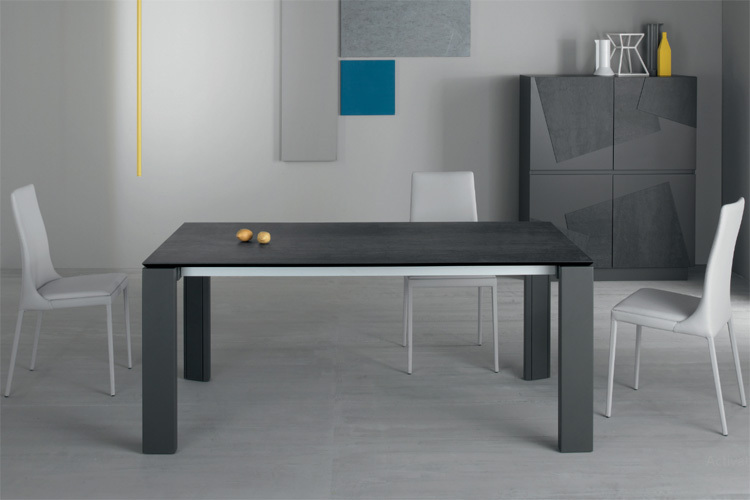 Extendable dining table with ash gray lacquered metal legs. 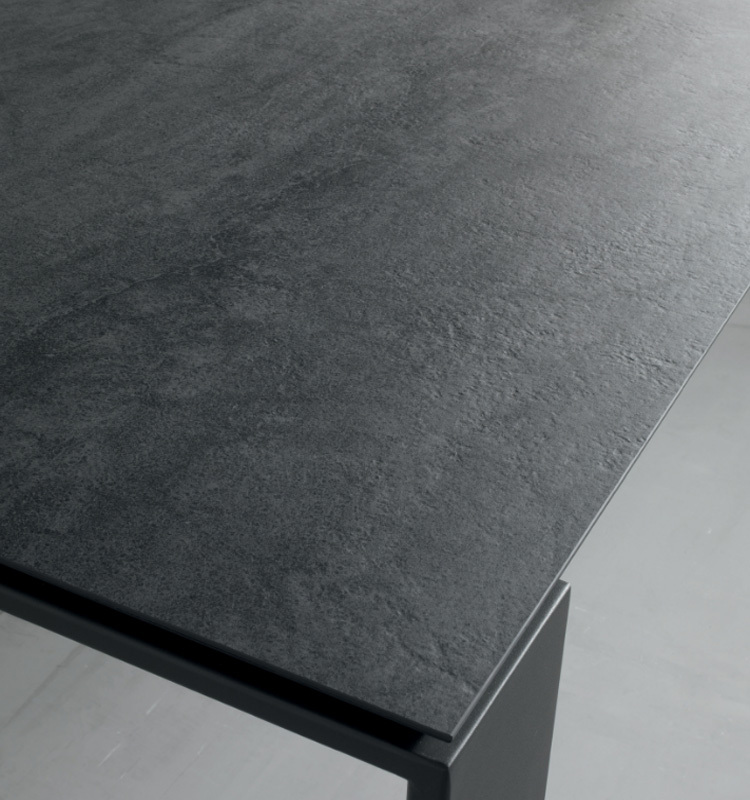 Top and extension in ceramic (3mm) on mdf board (16mm) or in Fenix NTM ®, an innovative nonotechnology resin. 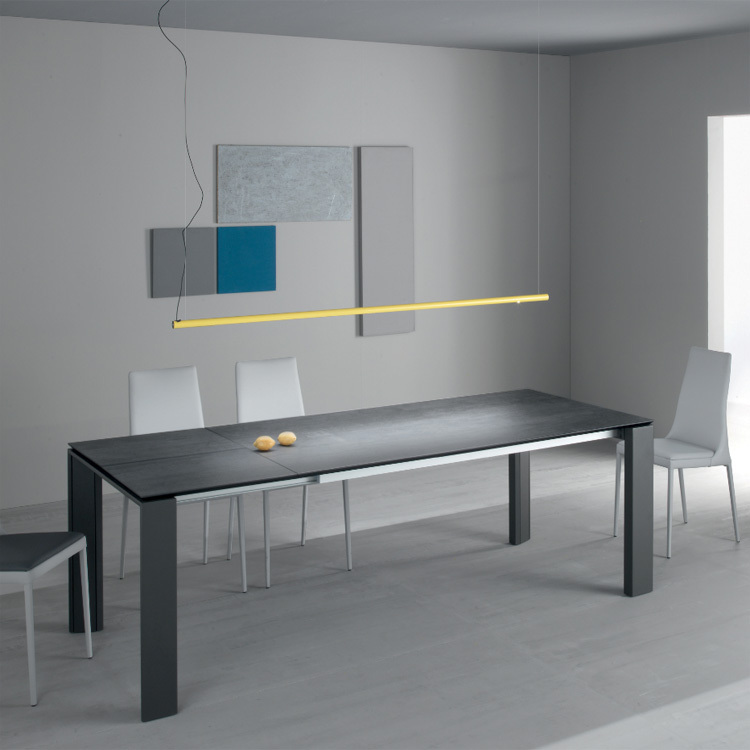 Extendable frame in anodized mat silver aluminium.